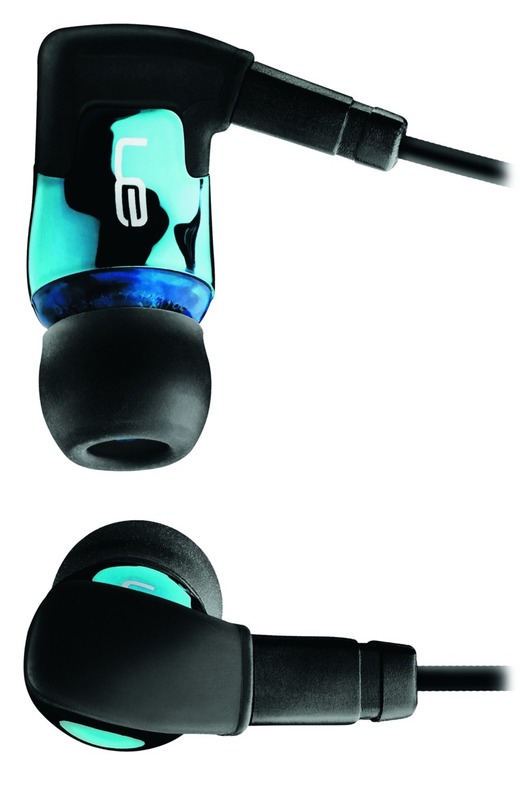 I'll make it known now, I've been itching to try out Logitech's Ultimate Ears TripleFi 10 headphones for some time. Artem, the Android Police Chief, if you will, swears by this pair of headphones. I'm pretty picky about sound, so I wasn't entirely certain if I'd come to love them as much as he does. But after a couple of weeks with these rather pricey earbuds, I have to say, the sound is better than any other earbud I've used (admittedly, I've not tried any other earbuds above the $150 mark for any meaningful amount of time). What is it? 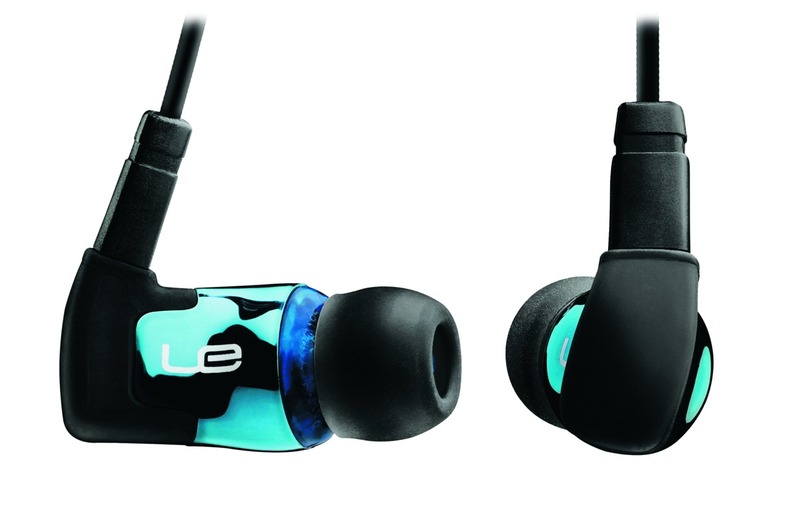 An ultra-high-fidelity in-ear headphone. Why is it special? Ultimate Ears products are renowned for their excellent audio quality, and through the use of a triple balanced-armature system, the TripleFi 10 delivers extraordinarily clear and powerful sound. Sound. Amazing, wonderful sound. The TripleFi 10 earbuds deliver accurate and truly clear audio to your ears. They also have extremely solid and punchy bass, something many balanced armature headphones may lack out of the box without equalization. They're quite comfortable, not as good as some headphones I've tried, but significantly more comfortable than I expected. Fully user-replaceable components. The earbuds are separable from the cord, meaning you can replace the cord or the earbuds as individual parts, saving you money in the long run (at least compared to other, similarly priced headphones). They come with a gamut of useful accessories. Price. At $170 on Amazon, that's a lot of clams to drop on headphones unless you're serious about sound. The recommended wearing position may be annoying to some - because of the weight of the earbuds, UE suggests you wrap the cord over the top of your ear (from the front) to ensure the earbuds don't weight you down or fall out. Personally, I don't mind it. Build quality of the driver housings does seem a bit plasticky, cable is annoyingly tangle-prone. The overall sound character of the TripleFi 10's is very 'in your face' - some people might find to be grating or unnerving. As I said in the bulleted points above, the TF10's are a fairly comfortable set of earphones - as long as you wear them properly. Because the driver housings are quite large and heavy for an in-ear headphone, you really need to wrap the cord over the top of your ear to make them feel "light." If you wear them as you would normally wear an earbud headphone, you'll probably find they get heavy and uncomfortable after a while. I personally think the cord-over-the-ear method keeps them more secure in your ear, and also just feels better. Your results may vary. In terms of design, the TripleFi 10's look very similar to how they sound - bright and in-your-face. The blue polished metal driver housings and clear blue plastic trim are distinctive and bold. I wouldn't exactly call the TF10's classy. As for construction, I get the feeling that some corners have been cut since the Logitech buyout of UE. The driver housings have obvious seams from the plastic molding process, and the fit of the pieces that make up the casing isn't very clean - leading to nooks and crannies for dirt and grime to fall into. Additionally, these things are f'ing huge - I wouldn't recommend them for people with particularly small ears. Noise isolation has been very good, and it's a point Ultimate Ears prides itself on. Compared to most $100+ in-ear headphones, the TripleFi 10's score above-average marks in this area (estimated -26dB isolation), and definitely make a good choice if one of your major concerns is finding an in-ear headphone that can effectively block most environmental noise. As far as the cable goes, it feels sturdy enough, but given how many times Artem has had to replace the cable on his pair, I'm not going to go out on a limb and call it rugged or anything like that. The elbowed jack design does make them annoying when you place your phone in your pocket, as the edge of the jack can get caught and unplug them. Additionally, all of the three major components of the TripleFi 10 are replaceable. 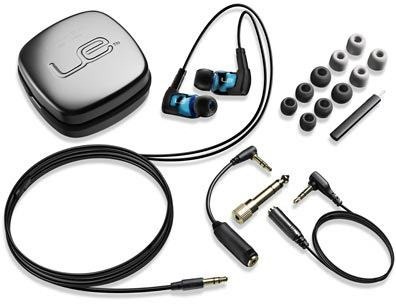 You can buy replacement parts straight through Logitech - including the individual earbuds (left or right), as well as the cord. You can also upgrade to the TripleFi 10vi cable, which has in-line controls, if you decide you want that functionality at a later point. Logitech even provides instructions for you to do all of this. 3 pairs of rubber ear tips, 2 pairs of Comply foam ear tips. You may have noticed in the "Good" section that I was pretty clear in professing my love for the sound these headphones produce. It really is stellar. Bass, in particular, comes through with such clarity that I can scarcely believe I'm wearing in-ear headphones. The TF10's actually have one of the three balanced armatures in each earbud devoted to low-frequency sound, and the result is well worth the extra bulk. You'll hear bass guitar notes clearly, and a well-defined variety of drums that often just become muddled on most headphones. For electronic music, hard rock, or anything percussion-heavy, the TF10's are an excellent choice. If you tend to keep things on the lighter side, the TF10's won't disappoint, but you may find their emphatic and defined bass doesn't do much to enhance your listening experience. I'm more of a classic rock guy, and I still find the TF10's tend to sound better on 90% of tracks than the next best headphone I have laying around, the Etymotic Research hf2 (which I reviewed previously). The difference in quality, while noticeable, is not huge, though. It was enough that I was forced to, a little begrudgingly, concede that the TF10's really do just sound better in terms of accuracy and clarity. Treble is also very defined on the TF10's, giving higher frequencies a clarity and accuracy that really is superb, allowing you to hear subtle nuances or otherwise inaudible elements in your music that you probably didn't even know were there. Like the bass, the treble, while accurate, is exceptionally tight and 'in your face' - there is nothing subdued about the sound of the TF10's, so those looking for a more traditional (eg, warmer, less intense) sound signature should probably look elsewhere. Putting on the TF10's is sort of like waking up one day with the ability to see the world at a microscopic level of detail; you're going to see a lot of new things, some of which you may have preferred remained unseen. Many people will try to tell you there's "no difference" between a good pair of $50 earphones and a good pair of $150 earphones - I'm here to tell you they're wrong. To draw a car analogy (apologies in advance), I'd say the TF10's are a bit like the Corvette of earphones - sure, they're kind of plasticky, flashy, and expensive, but they provide a level of performance (fidelity and overall audio quality) that will assure you there's at least $175 worth of sound coming out of them. There's plenty of headphones out there costing more than $150 that really don't offer any increased performance to justify their high price (and probably some $50 ones that sound better than them). But there's many that do, as well - the TF10's being an excellent case-in-point. If you're looking to take a leap into the world of hi-fi in-ear headphones and have around $175 to burn, the Triple Fi 10's are pretty good bang for your buck. And if you're looking to step up from a mid-range in-ear headphone to something in the $150+ range, they should definitely be on your short list.